Back by popular demand! 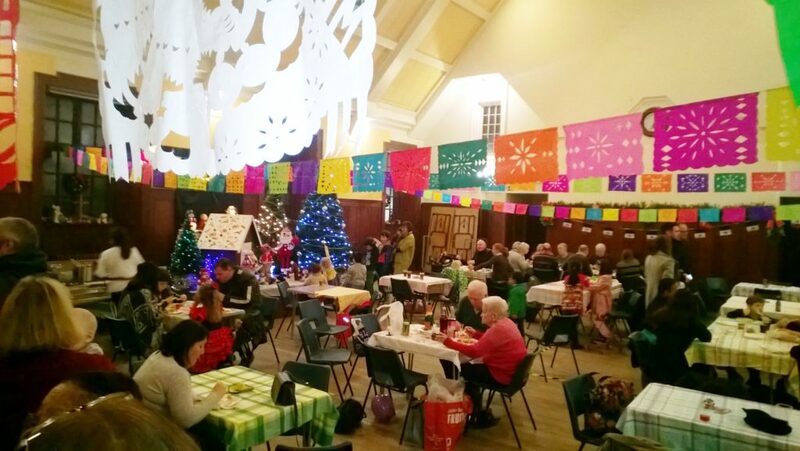 Last December we were treated to a taste sensation and a fabulous colourful social event organised by our friend Lorena Mendez, who runs Troon Spanish Group in our church halls every Monday and Friday. Our last Mexican Night was a feast for the senses! 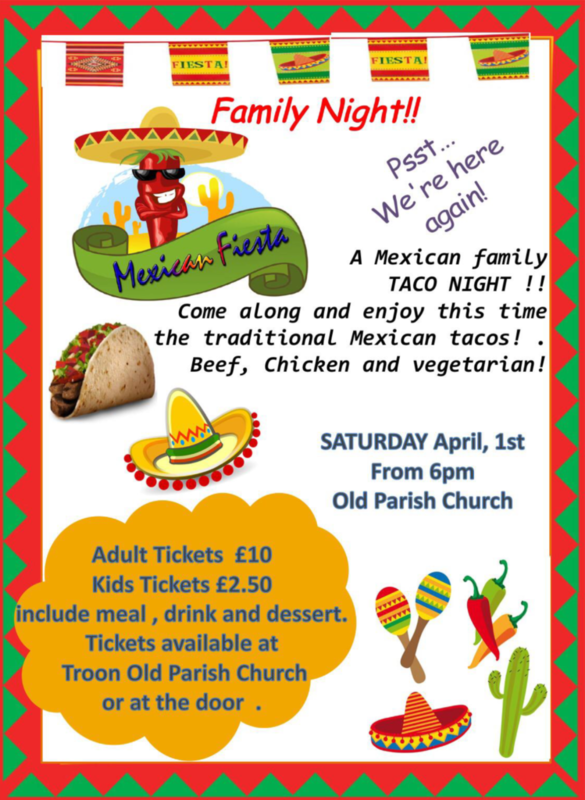 The first ever Family Mexican Night in Troon Old was a great success, and Lorena is putting together another one on Saturday 1st April (doors open 6 pm). Tacos are the speciality this time – crisp savoury packages with delicious beef, chicken or vegetarian fillings. Go as spicy as you dare with all sorts of toppings. Anyone for jalapenos? Tickets cost £10 (kids’ tickets £2.50) and include a main meal, drink, and dessert. Tickets are available from the Church Office or at the door on the night: it was pretty busy last time, so make sure you get yours soon!